Law enforcement in northern Virginia is concerned terrorists may be trying to get hold of fireworks that can be bought at many shopping centers to use them in attacks. The Northern Virginia Regional Intelligence Center warned law enforcement that terrorists could stockpile consumer-grade fireworks to make improvised explosive devices. The explosives used in the Boston Marathon bombing two years had gunpowder taken from fireworks. The same thing used three years earlier in New York City in the foiled car bombing attempt in Times Square. 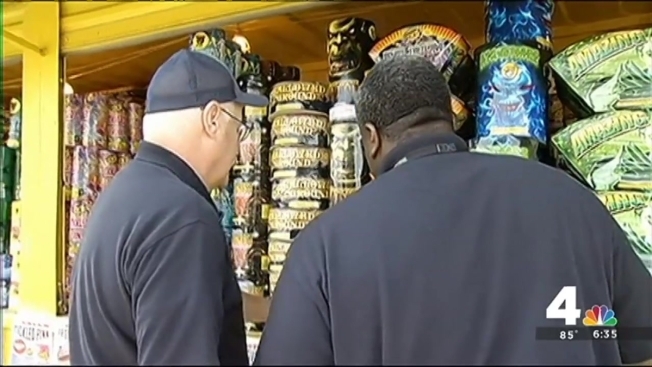 Fireworks stand operators are being asked to watch out for unusually large quantities of fireworks being purchased, people asking how to disassemble fireworks or combine with other chemicals, and curiosity about potential damage. They are also looking for nervous demeanor or vague answers about the reasons for buying and using fireworks. There are no specific threats to northern Virginia. Law enforcement is just calling for vigilance.